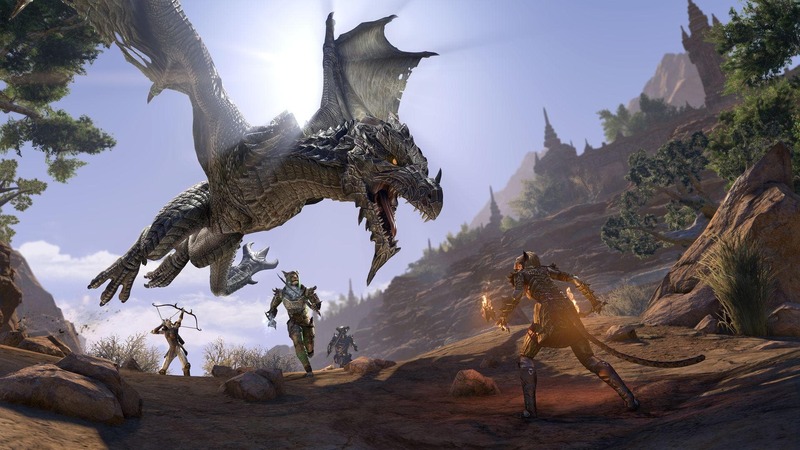 With the Elsweyr Chapter, you can experience an epic Season of the Dragon story, challenge your team with a new 12-player Trial, and master the dark arts with the Necromancer Class. However, if you’re interested in exploring Khajiiti culture and life, there’s plenty to be excited about in the new zone, too. Check out just some of our travel suggestions below! In Elsweyr, you can explore a massive new zone unlike anything you’ve seen before in the Elder Scrolls. 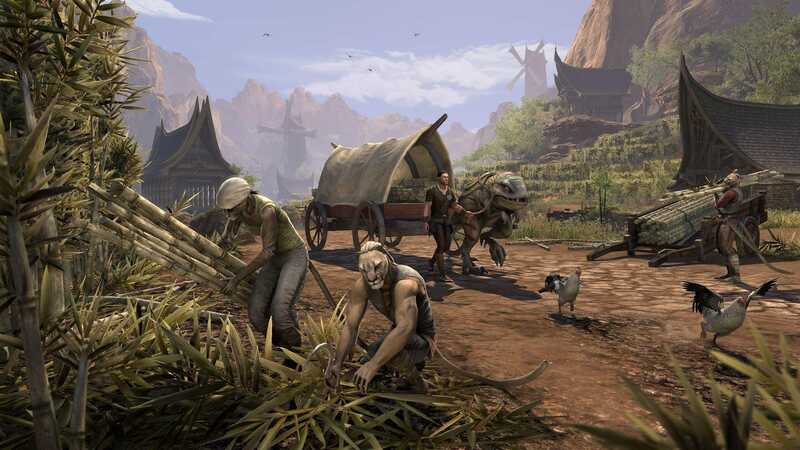 The homeland of the Khajiiti people is filled with incredible things to see and do, and during your travels, you can pass through bustling palatial cities, desolate canyons, and fertile moon-sugar fields. Thanks to Abnur Tharn’s meddling, Dragons now soar the skies over Elsweyr. If you’re feeling up to the task, gather your fiercest allies and hunt the scaled beasts in these new zone events. You can find them flying above certain areas, and you’ll need to stalk them and wait for the perfect opportunity to attack to bring them down. Of course, even if you force a Dragon to fight you on your terms, you’re in for a challenge. These beasts are far more dangerous than the Dark Anchors or Abyssal Geysers of the other zones, and working with a large group gives you the best chance of success. You’ve been warned. While Elsweyr features an incredible main questline, should you choose, you can find all manner of unique standalone adventures just by exploring. These quests help you gain insight into the wonderful and often puzzling world and culture of the Khajiit and introduce you to the many different aspects of life in the Khajiiti homeland. Elsweyr is an ancient land, and if you’re looking for excitement and adventure, you can find it in one of its six Delves or two Public Dungeons. Most solo adventurers can explore the Delves alone, such as the ancient Tomb of the Serpents—just watch out for menacing Akaviri spirits. 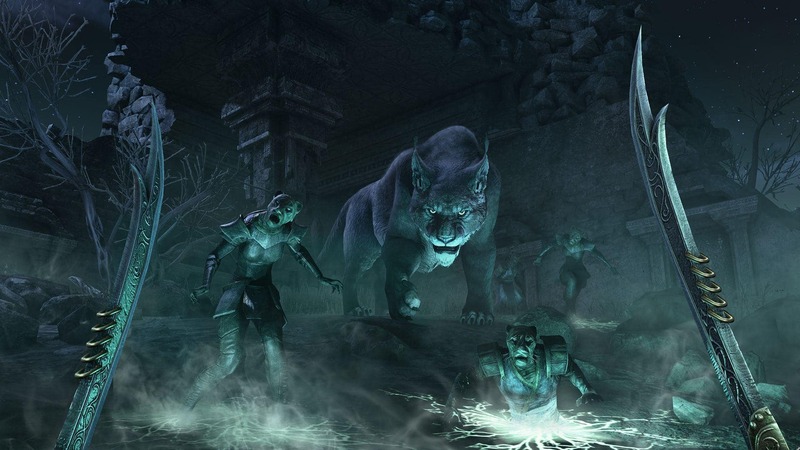 However, if you wish to venture into one of the Public Dungeons, it might be wise to bring a team—the monsters that dwell within, such as the skeletal Khajiit warriors and Daedra in Rimmen Necropolis, can prove challenging for unwary solo adventurers. Dragons aren’t the only monsters plaguing the home of the Khajiit. The region is full of roaming bandits, vicious beasts, and undead creatures that plague the local populace. Six world bosses scattered across the zone need to be defeated if you want to restore peace to Elsweyr. These world bosses include deadly Akaviri Swordmasters, a fearsome Senche-raht Necromancer, members of a Khajiit criminal syndicate, and more. All of these bosses have challenging mechanics and abilities to overcome—good luck! 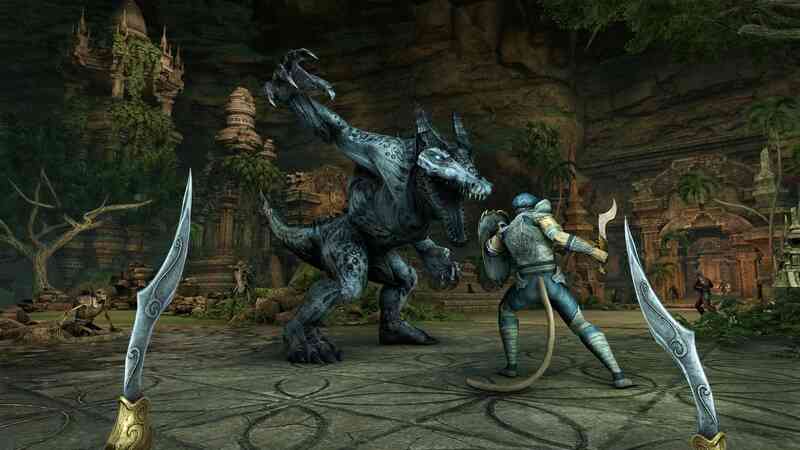 Are you planning to visit the home of the Khajiit when The Elder Scrolls Online: Elsweyr launches in June? Let us know on Twitter @TESOnline, Instagram, and Facebook. 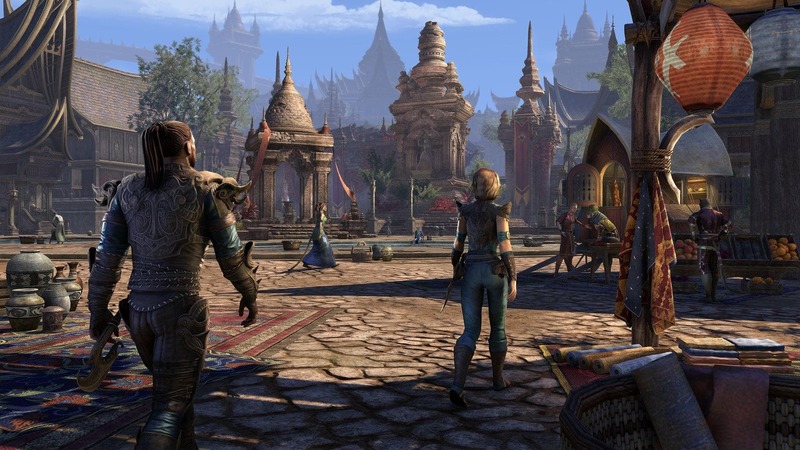 The Elder Scrolls Online: Elsweyr is coming to PC/Mac, Xbox One, and PlayStation®4 on June 4. PC/Mac players can take part in Early Access starting May 20. Pre-purchase Elsweyr now to receive unique bonus rewards and gain immediate access to the Rahd-m’Athra in-game mount (conditions apply). Don't miss out!